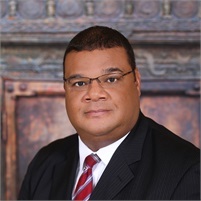 William H. Bryan has been in the financial service industry since 1989. In 2011 he became a financial adviser with Edward Jones and transitioned his business to LPL Financial in 2013. Before becoming a financial adviser in 2011 he spent 23 years with the Capital Group/American Funds. During his 23 years with the Capital Group he served in various roles, including being the Endowment & Foundation Specialist in the Institutional Investor Service Group, where he focused on helping “people that do good, to do good”. William was born in Chicago, IL and moved to Rancho Cucamonga California in 1980, where he attending Alta Loma High School. He earned a full-ride scholarship to play college football at Cal State Fullerton, where he also earned a BA degree in Business/Economics with emphasis in personal financial planning. William married Cynthia in 1994 and together they have two boys, Warren and Will IV. In William’s spare time he enjoys golfing and listening to jazz. William and his family attend Abundant Living Family Church (ALFC) in Rancho Cucamonga where they also volunteer their time. In addition, he currently serves as Chairman of the Board for National College Resources Foundation (NCRF) and works with many other non-profits, foundations and endowments.